What about this, though? Reports last summer linking tofu to dementia. And here’s the study, plain as day: Tofu intake associated with worse memory. So what do you think? Is that fact, or fiction? It’s not only fiction, but the opposite is probably true. Most studies have shown soy improves cognition. But what about this? The study did find tofu to be harmful, but tempeh to be protective. So, it can’t be the soy itself, since tempeh is actually a more concentrated source of soy than tofu. Combined with the fact that data around the rest of the world suggests soy protects memory, this raised the question: what do they put in their tofu in Indonesia? If the journalists had bothered to actually read the study, they would have seen that according to Indonesian departments of health, formaldehyde is often added to tofu (but not tempeh) to preserve its freshness. Formaldehyde, the neurotoxic carcinogen formaldehyde. This is actually what it looks like. Mystery solved. Tofu ‘may raise risk of dementia.’ BBC News, (July 4, 2008). Accessed 08.08.11. E. Hogervorst, T. Sadjimim, A. Yesufu, P. Kreager, & T.B. Rahardjo. High tofu is associated with worse memory in elderly Indonesian men and women. Dement Geriatr Cogn Disord, 26(1):50-57, 2008. Republishing "Does Tofu Cause Dementia?" Check out these videos for more on formaldehyde in common products: Diet Soda and Preterm Birth and Throw Household Products Off the Scent. I have a lot of videos now on dementia and soy. Click through to see them all. For further context, also see my associated blog posts: Alzheimer’s Disease: Up to half of cases potentially preventable, and Natural Alzheimer’s Treatment. Please feel free to post any ask-the-doctor type questions here in the comments section and I’d be happy to try to answer them. And check out the other videos on dementia. Also, there are 1,449 other subjects covered in the rest of my videos–please feel free to explore them as well! Do they add it to all tofu? Having lived in Indonesia for over 14 years, I can confidently state that they do not use it in all their tofu, in fact it is illegal and police raids of small tofu producer operations on local television news broadcasts used to be quite common. Unfortunately, I used to see similar reports on locally produced baby formula. As a whole food plant-based practitioner, sourcing quality organic soy beans to make homemade milk is essential; over 50% of the soy beans here are imported from North America and are guaranteed to be GMOs. As if it couldn’t get any worse, they also use sodium tetraborate decahydrate, more commonly known as borax, in tofu here as well. Check out this 2013 study done on tofu in an east Java province, in which 87% of the samples collected contained borax. Frightening. Luckily, I have an organic source for tofu. Scroll down for the English translation of this online pdf in this link. 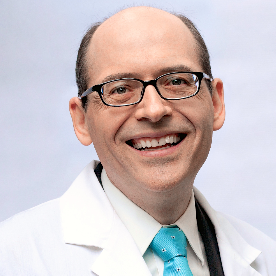 A huge thanks goes out to you, Dr. Greger, for your seemingly tireless philanthropy, care and effort; the length and breadth one could never accurately quantify. Among many dedicated doctors and scientists that enabled me to truly understand nutrition, our relationship with food, destructive farming practices and its inherent doom and animal welfare in all its forms, you are by far one of the most treasured. Your site will always have a permanent bookmark in my browser. What about the famous report on autopsies of Japanese men who ate tofu more than twice a week? It seems that they found substantial brain shrinkage. Have you found anything that would explain this ? You’re thinking of the Honolulu Heart Study. Brenda Davis has a new book coming out that covers that series of studies–stay tuned! Which book? Is it out? I could not find it searching the latest edition of Becoming Vegan on Amaozn. It’s clear other factors could have been at work but I am amazed there are not follow up studies investigating the association they found. David Johnson: Thank you for asking this question! I have Brenda Davis’s original book and didn’t think to look for the update. But after seeing your question, I did an Amazon search of my own. I believe the following book is what Dr. Greger is talking about. And I’m excited to be getting a copy of my own. Looks like a great book! This is the edition I searched on at Amazon but could find no references to that study. The study was an associational one based on self-reporting, and so was not the best kind of study. Nevertheless, as I recall, two US government nutrition scientists took it seriously enough to object to the government allowing soy products to be labeled as “heart healthy”. Also I once wrote a researcher who was promoting soy for cognitive health (forget who) and asked him if he could explain the study. He admitted he could not and that one could not just dismiss it either. So it’s been bothering me for years now. I hope Dr. Gregor will address this issue. I may have a question later but I just want to thank you for this absolutely phenomenal site. Not to disparage Dr Oz but he can’t hold a candle to you. I hope everybody reading this site will inform their friends about it. Thank you so much for taking the time to leave such a kind comment–and thanks for spreading the word! I tell all my friends about your site too! It has been such an eye opener. If I want to know if something is safe to eat I just come here and find the medical evidence! Thank you! Thank you! Thank you! will green coffee beans really make me lose weight? Victoriafowkes, Based on this one (there are more listed) green coffee bean extract study, that I found listed on Pub Med, it seems that green coffee beans are effective in weight management. However, it seems to me that the more important questions to ask are how safe are green coffee bean extracts (CBE) for human consumption, what are the long term effects of CBE on the human body, how long is one expected to ingest CBEs to lose weight, does one have to keep taking CBEs to maintain the weight loss, what happens once it is no longer taken (and how does this effect the health of the human body), what are the side-effects of taking CBEs, and finally, how do CBEs interact with other medicine’s, supplements, and the like? It seems to me that the best, safest, healthiest, and most effective way to lose weight is by diet and exercise. Thank you for clarifying this issue which definitely made me concerned. Yet in fact I still have two major reservations – can’t soy isoflavones mess up with male hormonal milleu (same regarding flax seeds BTW) – and isn’t soy (just as other legumes) known for bonding/preventing some nutrients from getting into the body? Would be so nice to clarify these indeed..
Can one eat too much soy product. I Love the “vegan” turky sausage and eat it or the hot dogs every day?? This food is highly processed, high in sodium and is not exactly healthy, even if it is “vegan”. We should stick with whole, unprocessed plant foods for optimal health. ally: I thought I would jump in here with my own 2 cents. You just want to be careful when you think about soy “products”. Divide soy products into two categories: a) traditional soy (like tofu, tempeh, soy milk) and b) processed foods (like those super-yummy vegan sausages/fake meats). For traditional soy foods, 2-3 servings a day is good for you, with all sorts of health benefits. But too much more than that and you could have problems. Dr. Greger has all sorts of videos on soy. I do recommend watching them. I’m just giving the cliff notes. It’s more real if you hear the videos. For those processed foods: The problem is that they contain non-healthy ingredients like isolated soy proteins, plus several other questionable items. They are not whole foods and there is plenty of evidence that the processed foods are probably not so healthy. I’m not really saying anything different than Toxins did. I was just hoping to make the issue more clear for you with some additional details. What is a serving of soy? Bythe way, I think people often overestimate the amount of soy on average Japanese eat. It really is not that much according to my Japanese wife. 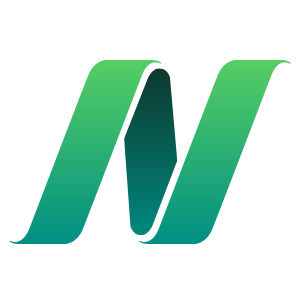 I like this site, for information and ease of sending the video links to other people. It is a great time to be alive and see all this discovery going on that we can actually use daily. Thanks, big thanks, to Dr. G for making it see the light of day and getting it to us gift wrapped in user-friendly form. After 70 years of a meat eating diet, I read China Study and became hooked on a whole foods vegetable based diet. Unfortunately this was after massive damage to my spine and knees from osteoarthritis. I would like to know whether the stenosis will continue or whether the bone spur growth will quit, or could one hope, reverse itself. There have been three back surgeries and 2 1/2 months ago a double knee replacement. Another back surgery was a possibility according to my neurosurgeon. You are great! I m folow all your post from argentine! Thanks! Andres Fava: It’s so cool when people comment from other countries. Thanks for participating! Is Tofu potentially harmful in other ways? I read that tofu (soy) contains phytates. These bind with minerals in your digestive tract, taking those very necessary minerals out of your body. Can you comment on this? Is there a simple way in which people can test a sample of Tofu to see whether or not there is any formaldehyde? You know, what I find interesting is the fact that the U.S. has the second highest rate of dementia/Alzheimer’s deaths (just behind Finland), and it is probably among the lowest consumers of tofu in the world. Japan’s rate was 10x lower than us and North Korea (noted as high consumers of tofu, even more so than Japanese) was over 20x less likely to die from dementia related illness. I think there were a lot of things ignored in the studies I’ve contributing tofu to cognitive decline, confounding factors said to have been addressed, but clearly overlooked. The problem of Doctors is that they need only a piece o certified paper to speak about everything without any real knowledge. A lot of them are like shaman with a ring on the nose disguised with a white coat.